Open-AudIT • View topic - Add Remove Programs shows "last Used on" can we audit this? Add Remove Programs shows "last Used on" can we audit this? Post subject: Add Remove Programs shows "last Used on" can we audit this? Is there a way to include the "last used on" field from add and remove programs. a client I am working on wants to see if we can look at "Harvesting" licences based on apps not used. Loving the System - Hating the problems - Understanding the interfaces between Chairs and Keyboards ARE the problems! Post subject: Re: Add Remove Programs shows "last Used on" can we audit this? So, in short, it seems like it's not well documented on how to reliably get the data and even when you get it it may not be all that accurate. I know there are actual software usage agents out there to track software use, as one of the first places I worked at used one and it was actually pretty reliable. I know there are actual software usage agents out there to track software use, as one of the first places I worked at used one and it was actually pretty reliable. What was the software ? I agree that this can be unreliable. Just take a look at your Add/Remove programs if you have any doubts. Mine thinks I use 7-zip rarely, Open Office rarely, and Eset Anti-virus rarely, when in fact all three are used every day of life. It also says I use Microsoft Office frequently, when in fact I only ever use Outlook ('cos I use Open Office as my default .DOC, XLS and PPT application). Which licensed products are you trying to check? It has been so long that I can't begin to remember. I remember that we used Novell Zenworks with the application explorer builtin to the start menu for application management/deployment. So my guess is it probably tried to detect how often the user launched the application from there, as the apps were all isolated to that location, no desktop shortcuts/start menu entries were created for them on install. As for as the name of the software though, beats me =/ As reliable as it seemed to be though, every so often it wouldn't report right and we would get people calling wondering why they are missing an application they always use...heh. This particular discussion has cause many a "p.m" between Mark and myself. infact the MSDN forums clearly state this is a best (although lame) guess. If an application is launched using the start menu program shortcut, the used date will be registered. but. 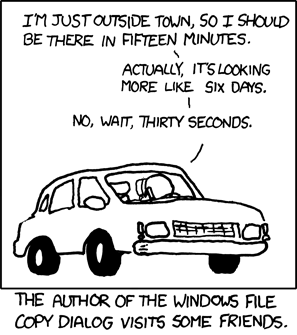 Launching a file which is associated with an application (i.e. a .doc or .docx file launches word when being clicked on) doe not register. Infact additional testing for looking at the "last accessed" field indeed changes the "last Accessed" field as it is interogated. therefore; if an app isn't used at all, but OA checks for it's last used date, the date would be when it was audited! I have seen "agent" based software which is supposed to do this, but purchasing a nuber of licences THEN integrating it to OA seems to defeat the object. What's the name of that software ? Do you know the vendor's website ? I want to check this stuff out, and I'll bet that when you REALLY get down to it, they have big caveats and without meeting those strict guidelines, would be just as inaccurate as us (if we were to bother). Did you ever figure out what is the the name of that software that you used before and you couldn't remember the name? I need something reliable, thank you. sorry for my bad english.